A good start for this new month with my first collaboration with Hermo! Although there was something truly bad happened in earlier October, that causing my delay in receiving parcel from Hermo, but after all everything remains good! Revealing the neighbors' evil side and my lovely parcel was back to me. 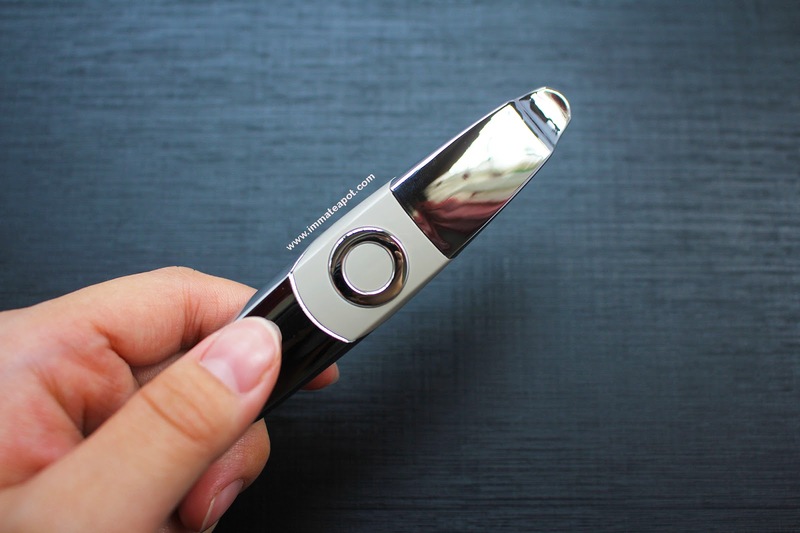 For a new beginning in this month, I've come across my first ever Pobling Mini Ion Applicator, which was my current favorite beauty gadget and also a great helper! I've heard so many positive reviews regarding on this product, well I will share mine opinions with y'all here then. When I was first approaching this tool, I was so fascinated with its slim and silvery reflective tube design. It was made up with head (shorter part and a concave tip) and handle (longer part). Both sides were parted with a button-like design, which actually comes with no function. For my first thought, I thought it was a power button, but it wasn't. The slenderize tube design made this tool a best stuff to carry around, it was so easy to tuck in handbag and of course for travel purpose. There's only one con of this applicator, was its reflective material, which leaves with the hand print stains. The handle may look really disgusting and sticky. The applicator is generated by battery. 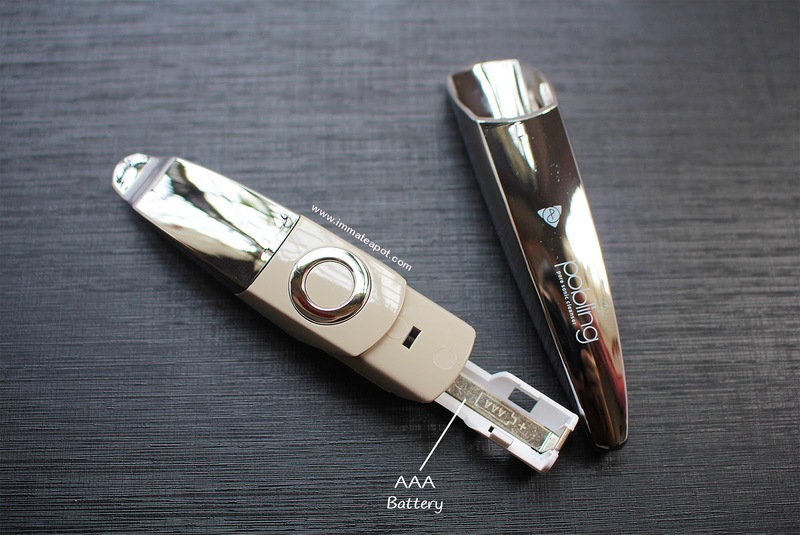 Simply pull down the handle and replace a AAA Battery in correct side. It's best to remove the battery if you're not using it regularly. There wasn't any on/off button within this tool. But how it really works? It was a skin-induced tool, which will be operated once it's connected with the skin. After inducing with the skin, vibration will be automatically generated. The technology used was pretty innovative, with the principle of ionization using galvanic ion and vibration, that helps in deeper absorption of cosmetic nutrients into the skin within 5 minutes. So, what makes Pobling Mini Ion Applicator an indeed great helper then? Nowadays, we may be too busy with work and always feel tired after the long hours of working. Even though, we pursue the skincare routine daily, in the morning or night, yet we are really lazy to get everything done perfectly, especially skin massage which makes our regime takes longer time than usual. 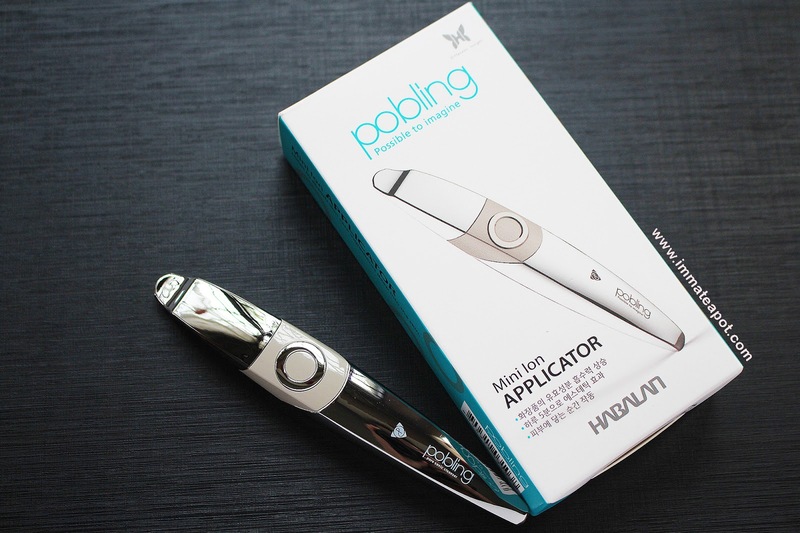 Hence, Pobling Mini Ion Applicator is such an excellent helper! It helps to deliver the nutrients deep into our skin layer effectively, enhance and maximize the active ingredients absorption. Instead of using our hand, this applicator is much hygienic. After cleanse and tone your face, carry on with your daily regime by applying moisturizer, essence lotion or serum. Apply your usual skincare and spread evenly on your face. 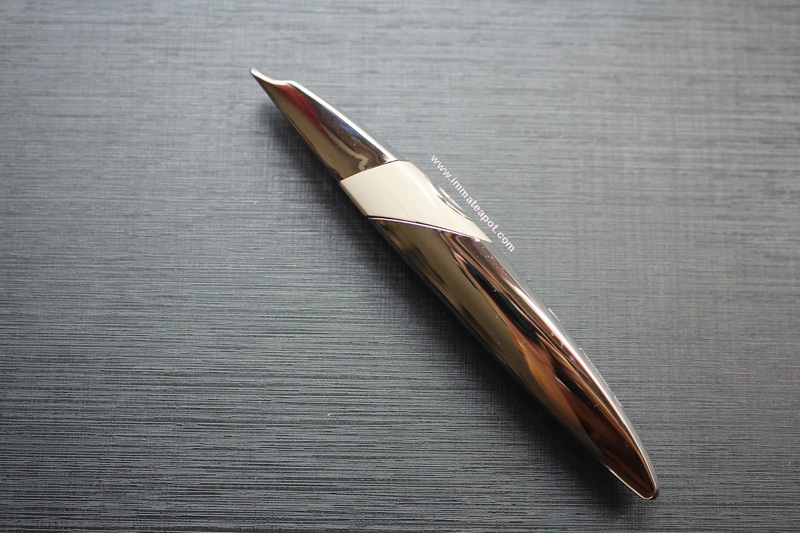 Pick up the mini ion applicator and get in touch with your skin, best using the concave tip. Instantly, you will feel a gentle vibration generated underneath. It works like a tiny massager, you may just drag the applicator from inner to outer side of face in upward motion, to helps lifting the face. No worry that you can even use it at your sensitive eyes area with eye gel, it helps boosting the active ingredients while reducing puffiness and dark circle. It's super easy to clean the applicator, need not to wash with running water, but just wipe it with wet and dried cloth. It was an innovative and interesting tool, with no doubt. I really love using it especially on my eyes area, it was so comfortable with mild vibration. We should just enjoy our skincare routine, instead of feeling it was tiring. Mini Ion Applicator makes everything faster and easier, my face wasn't that watery or glowy after using the moisturizer, as I have the applicator to helps in penetrating. 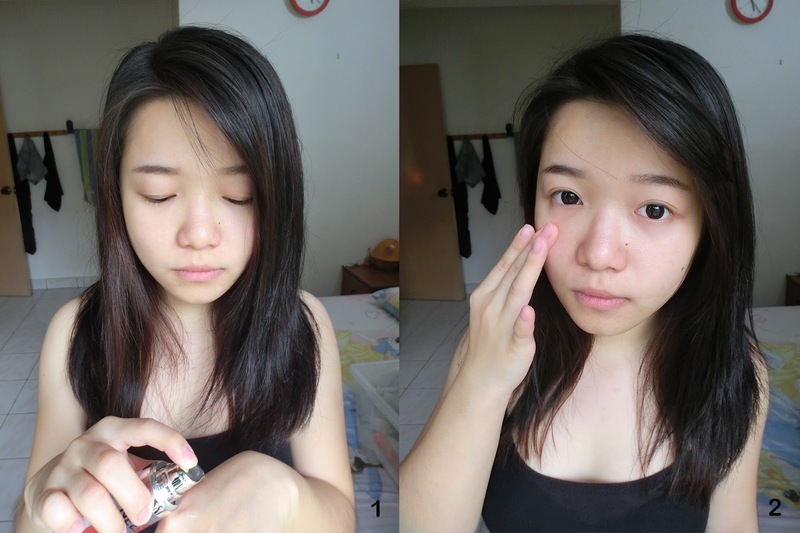 Without the applicator, I just leave the moisturizer on my face without massaging hehe. After all, I can't wait to share this product with y'all! Yup! 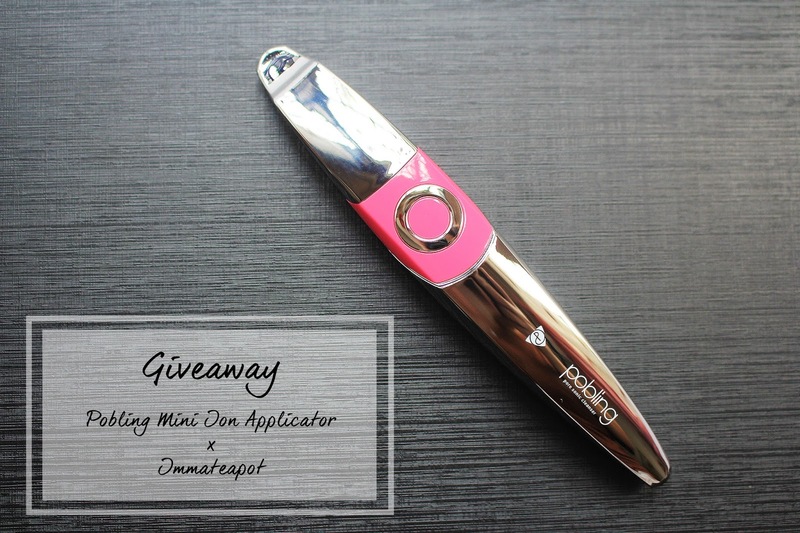 I'm giving away a Pobling Mini Ion Applicator to one of my reader! Fill in all the entries below and walk away with a Pobling Mini Ion Applicator! Good luck! 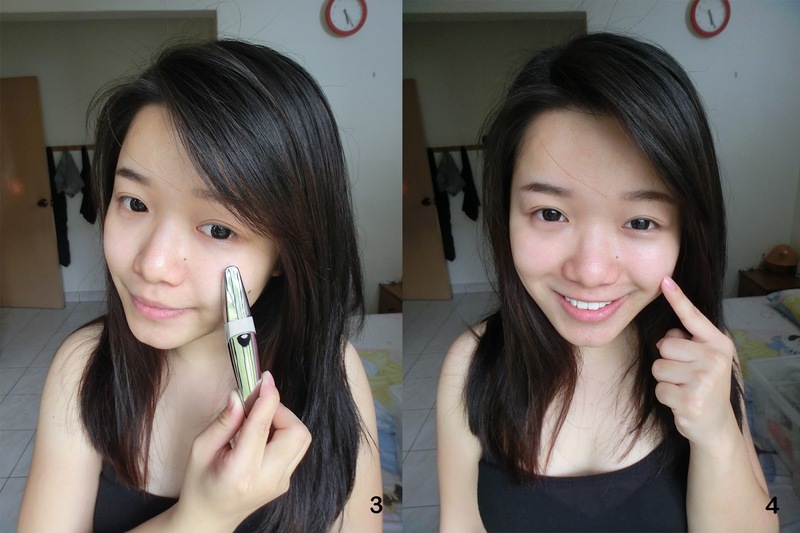 p/s: Giveaway on Ampoules worth RM138 ending soon! Don't forget to join here! Hey dear! Thanks for the lovely giveaway <3 The answer to your question would be facilitating the absorption of active ingredients into deeper layers of our skin. Wow *O* It looks amazing , so high tech and all! Although I do like this technology, i wont be entering the giveaway! 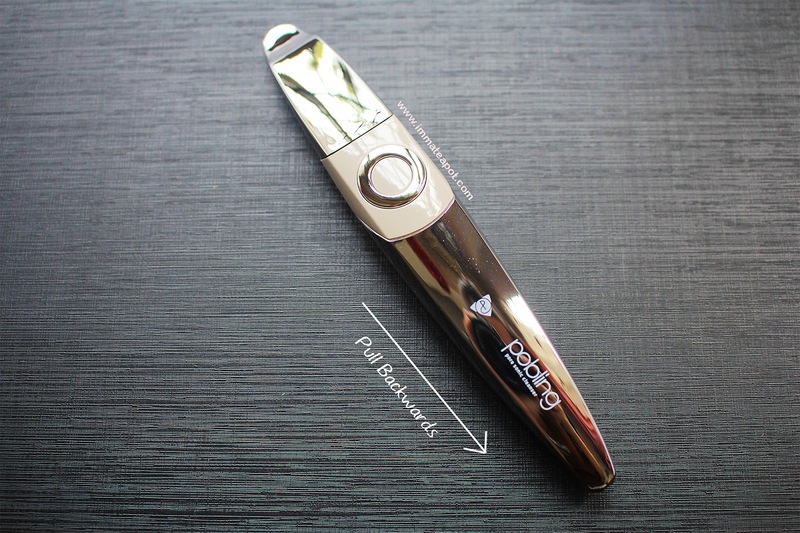 the function of this mini ion applicator is to maximise the absorption of the skin care things into our skin through the vibration . and I want to join this!! ANSWER: It helps to deliver the nutrients deep into our skin effectively. Hi dear Amelie, thanks for having this lovely give away for all the ladies out there. It is is mini size, it helps fasten the absorption level of skincare product on our face, easy to use & it is convenience to bring along for traveling as well. Cause we need to keep our skin hydrate and moisturize along the journey. Seems like a good tool to get absorption of skin care products. Thanks for sharing. Answer: Deliver ingredients into skin layer with maximum absorption at a faster speed. Answer: Pobling Ion Applicator helps to deliver nutrients deep into our skin layer. One of the function of pobling mini ion applicator is deliver ingredients. Answer: Pobling ion applicator helps to deliver the nutrients deep into our skin layer effectively by vibration. 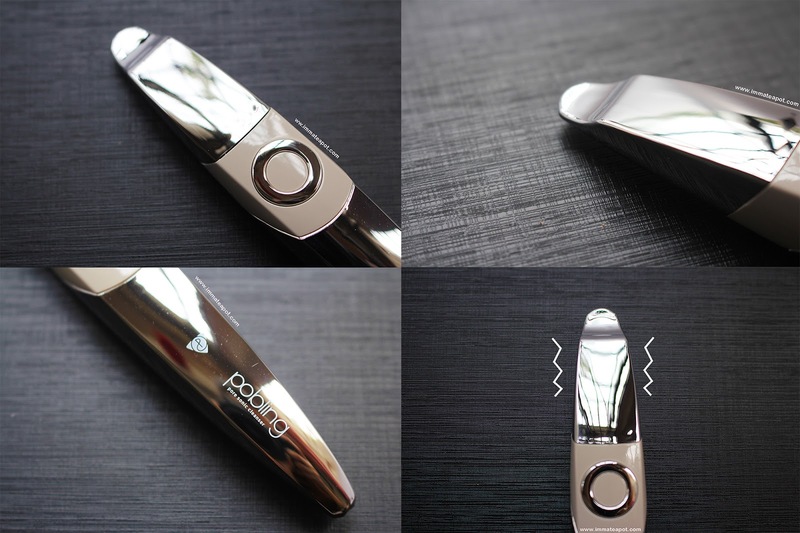 The pobling ion applicator help maximizing the absorption deep into skin layer and also helps lifting. 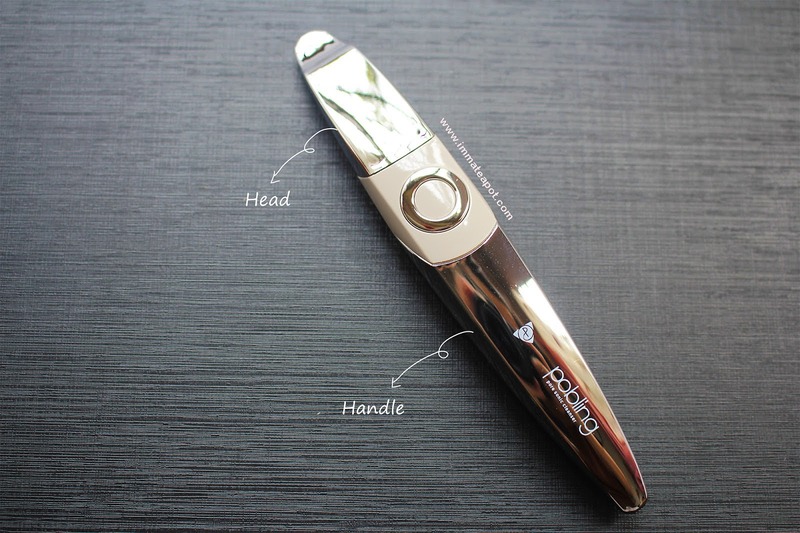 Forgot to include the answer to the question: The pobling applicator helps speed up the penetration of skincare products deep into the skin layers. Deliver nutrients deep into the skin. Fitting Session with Sloggi Zero!